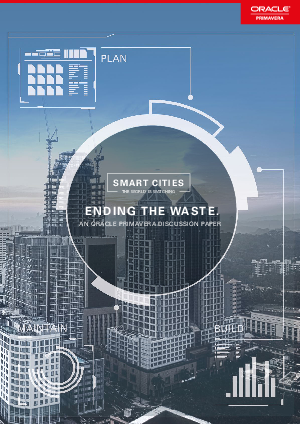 > Oracle > SMART CITIES: ENDING THE WASTE. Over the next decade, almost $78 trillion will be invested in infrastructure projects, according to PWC1. That represents an annual growth from an already colossal $4 trillion per year in 2012 to more than $9 trillion per year by 2025. But while rapid urbanisation and the established link between effective infrastructure and economic growth is driving investment, the reality is that all too often, public infrastructure programmes fail to deliver – meaning vast sums of taxpayers’ money are wasted. Download this paper now to find out how to secure the lifetime value of Public Infrastructure Programmes.